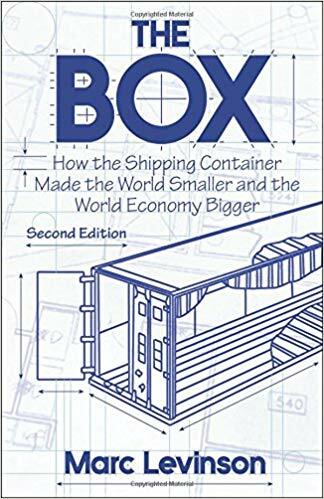 Published in hardcover on the fiftieth anniversary of the first container voyage, this is the first comprehensive history of the shipping container. Now with a new chapter, The Box tells the dramatic story of how the drive and imagination of an iconoclastic entrepreneur turned containerization from an impractical idea into a phenomenon that transformed economic geography, slashed transportation costs, and made the boom in global trade possible. "In the second half of the twentieth century, an innovation came along that would transform the way the world did business. . . . I'm not talking about software. I'm talking about the shipping industry, and in particular an innovation you might not have thought much about: the shipping container. It is the subject of an excellent book I read this summer called The Box. . . . The story of this transition is fascinating and reason enough to read the book. But in subtle ways The Box also challenges commonly held views about business and the role of innovation." One of the most significant, yet least noticed, economic developments of the last few decades [was] the transformation of international shipping. . . . The idea of containerization was simple: to move trailer-size loads of goods seamlessly among trucks, trains and ships, without breaking bulk. . . . Along the way, even the most foresighted people made mistakes and lost millions. . . . [A] classic tale of trial and error, and of creative destruction. By artfully weaving together the nuts and bolts of what happened at which port with the grand sweep of economic history, Levinson has produced a marvelous read for anyone who cares about how the interconnected world economy came to be. A perfect illustration of how an idiosyncratic entrepreneur brings something new into the world, and a wonderful example of how business history can be made to sing. 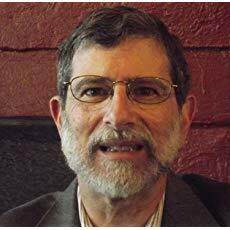 Marc Levinson is an economist and historian specializing in business and finance. He was formerly finance and economics editor of The Economist, worked as an economist at a New York bank, and served as senior fellow for international business at the Council on Foreign Relations. For more information, check out his website at www.marclevinson.net.